View More In Tea Accessories - Page 5. 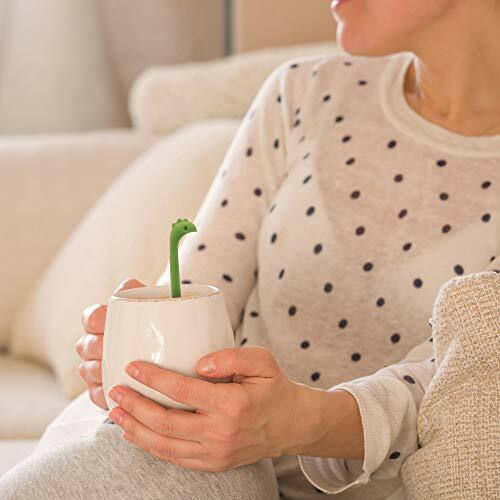 5 Reasons, Why this is the best and cutest Tea Infuser Set you will ever need? 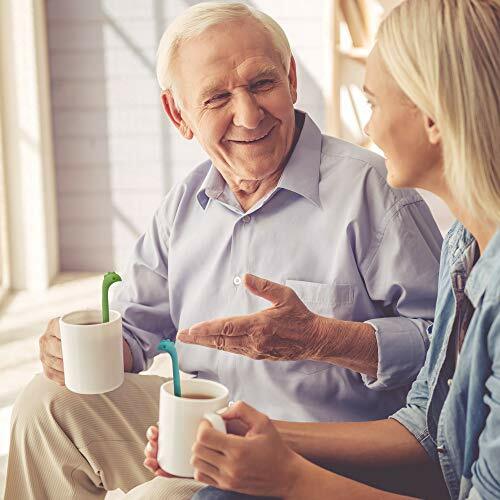 SUPER CUTE – You will have a Memorable & Fun Tea Time. MADE OF PURE food-grade silicone. FITS all cups and mugs. PERFECT GIFT for tea lovers friends and family who loves tea. MICROWAVE/DISHWASHER SAFE – Simple to use and easy to clean. 1- Pull out the base. 2- Put suitable tea leaf into the body. 3- Close the base correctly. 4- Put the infuser into your tea cup. At Tilevo, we believe in our products. That's why we back them all with a warranty of 12 months and also provide friendly, easy-to-reach support. * Not suitable for powdered tea or fine ground tea leaf. ✅ BETTER VALUE: Two Is Better Than One. 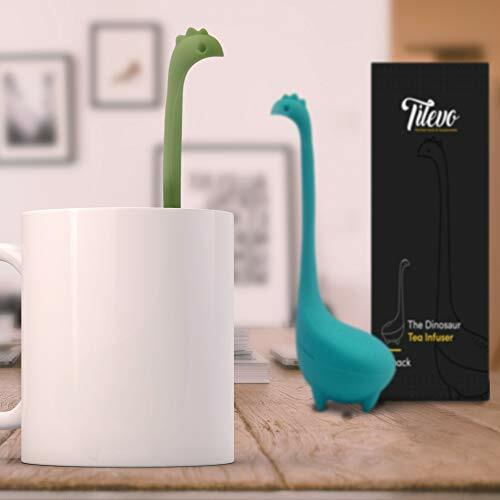 2 Dinosaur (turquoise & green), Presented in a beautiful Gift Box makes the perfect tea lover gifts for Christmas, Women & Men birthday and all occasions with 100% customer satisfaction, Factory warranty is only available from authorized seller Tilevo. 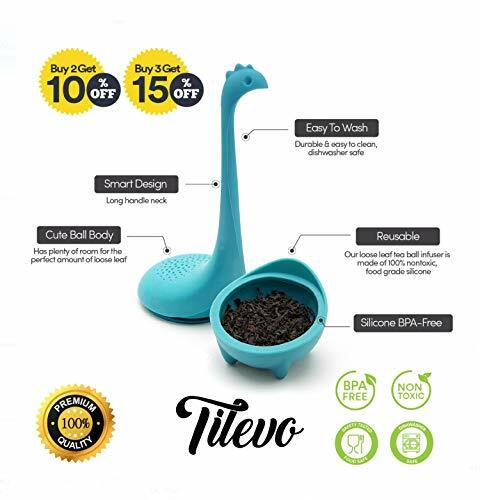 ✅ EASY TO USE: Simply fill the Dinosaur bottom half with the tea of your choice Not suitable for powdered tea or fine ground tea leaf. Give the top a quick push to the bottom and let it steep. 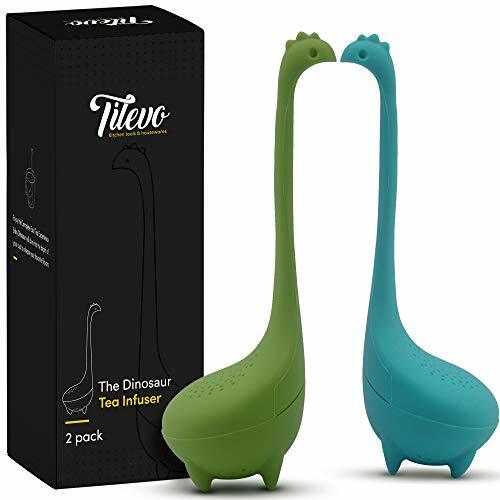 ✅ MADE TO LAST: Tilevo Dinosaur tea infusers tea accessories made with food grade, Non-Toxic silicone which is BPA Free. The neck will form to your style of cup and will stand in the bottom of cup or hang on the edge of tall cups. ✅ EASY TO CLEAN: Discard used leaves and rinse in hot water or Place them on the top shelf or utensil basket of your dishwasher for easy cleaning. 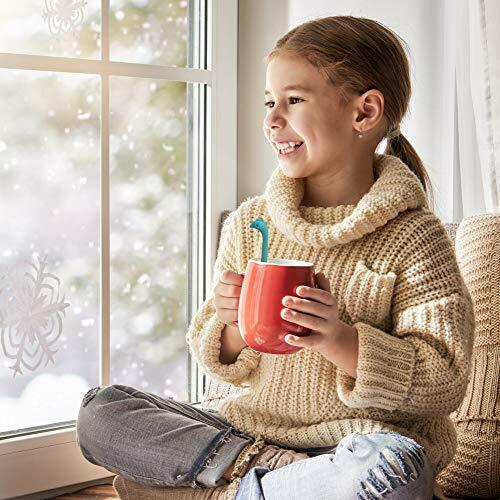 ✅ ELIMINATES TEA DEBRIS: Enjoy your favorite loose leaf teas without getting a mouth full of tea leaves. OPTIMAL for medium to large leaf teas. If you have any questions about this product by Tilevo, contact us by completing and submitting the form below. If you are looking for a specif part number, please include it with your message. Best Tea Infuser for Loose Leaf Tea,4 PACK Tea Strainer Combo Kits Including-Double Handles Large Tea Steeper, Single Long Handle Tea Filter, Small Cup infuser & Metal Tea Scoop-FDA Approved. Crazy Dave's Matcha, Handcrafted Nagoya Matcha Bowl, Tea Ceremony Chawan, Tenmoku Glaze Edition, 300 Ml (10 Ounces), Dark Brown with a Single Hand Brushed White Swirl Painted on the Outside.